N.Y. Civil Practice Law and Rules Law §214-a and §208 Two years and six months from injury. Foreign object: the action may be commenced within one year of the date of such discovery or of the date of discovery of facts which would reasonably lead to such discovery, whichever is earlier. Minors: time under minority is not a part of the time limit imposed, but no extension beyond 10 years. Jud. 30 §474-a. Sliding scale, not to exceed 30 percent of first $250,000; 25 percent of second $250,000; 20 percent of next $500,000; 15 percent of next $250,000; 10 percent over $1.25 million. In the event the attorney believes in good faith that the fee schedule, because of extraordinary circumstances, will not give adequate compensation, application for greater compensation may be made upon affidavit with written notice and an opportunity to be heard to the claimant or plaintiff and other persons holding liens or assignments on the recovery. Civil Practice Law and Rules §5031 et seq. As to any award of damages for future pain and suffering in excess of §500,000, the court shall determine the greater of 35 percent of such damages or §500,000 and such amount shall be paid in a lump sum. The remaining amount of the award for damages for future pain and suffering shall be paid in a stream of payments over the period of time determined by the trier of fact or eight years, whichever is less. Public Health §2999-G et seq. There is hereby created the New York state medical indemnity fund (the "fund"). 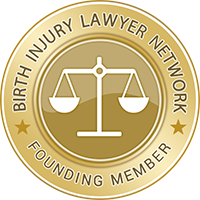 The purpose of the fund is to provide a funding source for future health care costs associated with birth related neurological injuries, in order to reduce premium costs for medical malpractice insurance coverage.